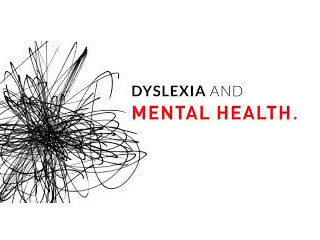 Is Dyslexia A Mental Health Problem? Home / Blog / Is Dyslexia A Mental Health Problem? At present, Dyslexia is not considered as a mental problem anymore, though about 30 years ago, it wasn’t the case and dyslexic patients were treated by psychologists then. Dyslexia is the most common learning disorder and it goes on throughout one’s life. The earlier it is diagnosed and treated, the better it is though people can take up treatment, however later they are and benefit from it. The origins of the disorder are neuro-biological. Dyslexia, due to its nature can easily go undiagnosed at school. Here are few facts about the disorder. The actual cause of Dyslexia is still not understood. Dyslexia, primarily, manifests as difficulty in reading. The ideal form of treatment involves the active co-operation of parents and teachers. The diagnosis takes into account of the child’s information processing technique, with regard to hearing, seeing and activities which involve participation. What happens when Dyslexia is not identified? Primary Dyslexia – The most common kind and is due to the dysfunction of the left side of the brain. Secondary Dyslexia – This type is caused by problems in brain development during the baby’s formation in the womb. Trauma Dyslexia – This type is brought on by a physical injury to parts of the brain that control reading and writing. If you would like to know more about this condition or if you feel that someone close to you might have Dyslexia, please do not hesitate to get in touch with us. Help is at hand!